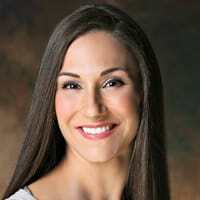 Rachael Pontillo is the bestselling author of the book Love Your Skin, Love Yourself, and co-author of The Sauce Code. She's an AADP and IAHC Board Certified International Health Coach, licensed aesthetician; and natural skincare formulator and educator. She's the president and co-founder of the Nutritional Aesthetics™ Alliance, the creator of the popular skincare and healthy lifestyle blog, Holistically Haute™, as well as the 6-week online course, Create Your Skincare. Rachael received her health coaching education from the Institute for Integrative Nutrition®, where she was the recipient of the school's prestigious Health Leadership Award and her aesthetics education from the Vision Academy Paul Mitchell School. She also has a Bachelor of Science degree from Philadelphia University and Masters of Metaphysical Science from the University of Metaphysics. She is currently pursuing her Ph.D. in Holistic Life Counseling. Rachael also holds additional certifications in metaphysical science, detoxification, acupressure, Reiki, Chinese Facial Diagnosis, and Ayurveda. She's an avid herbalist, self-professed skincare ingredient junkie, and lifelong learner.